Experiencing the birthplace of ecotourism with one's family rejuvenates one's appreciation for our world, and educates one on the importance of protecting it. Begin in Tortuguero, where in different points in the calendar, visitors can witness the laying of turtle eggs in the sand, or the hatching of baby turtles and their race into the warm waters. Next continue onto Arenal Volcano National Park to explore the jungles and hot springs in the area. 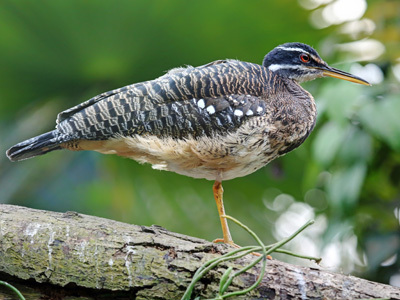 Cross a lake to visit Monteverde Cloud Forest, where visitors learn more about the intricate, diverse and immense biology of Central America. 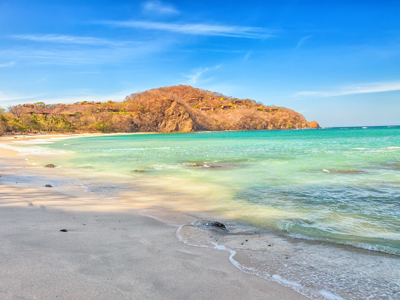 Finish your adventure with three relaxing days on the beaches of Guanacaste. 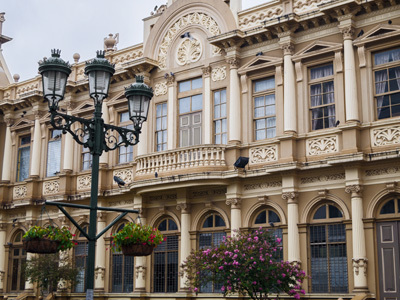 Historic neighborhoods in Costa Rica are laced with delicious international restaurants and bustling shopping streets. The city's art scene is popping and huge colorful murals blend harmoniously beside small unique art galleries. Like many Latin American capitals, it's the colonial architecture that truly gives the streets of San Jose their charm, and is a welcome break from the ever-modernizing city attributes. As a city that primarily hosts travelers arriving and departing from Costa Rica specifically, San Jose fills its role perfectly. An introduction, a gateway and a welcoming! This national park is the world's most important breeding ground for the green sea turtle, which lends its name to this region's moniker. With over 240 inches of rain every year, this is also one of the wettest places in the country. The canals that form most of the protected land flow into the Caribbean, which is also protected, forms hundreds of square miles of aquatic national park in this region. Other than the canals, most travelers will come here for the turtles, whose hatching grounds are closely monitored, insuring the continual growth of the green sea turtle population. 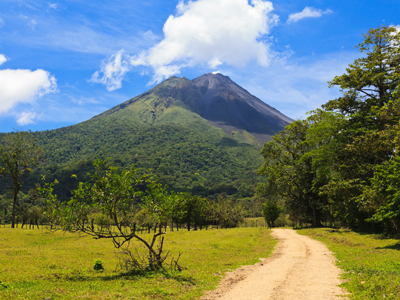 Though it has remained dormant since 1968, Arenal Volcano is the highlight of one of Costa Rica's most popular national parks. Beautiful trails, volcanic hot springs, and ample adventure activities abound, all interspersed with rare rumblings from the sleeping mountain. Plenty of lodges and hotels are built into the countryside with views of Arenal Volcano to take advantage of this picturesque region. It won't take you long to see why this is such a hot spot! From rain clouds, to clear blue skies, it's a beautiful and unique site to behold no matter what. This morning, you will be met at your hotel lobby by your guide who will take you on a tour of the hanging bridges overlooking the abundant biodiversity existent in the natural reserve. Your naturalist guide will open the doors to you into the fascinating and colorful tropical rain forest world through his knowledge of natural history. This tour is a fun and educative way to learn about the surrounding natural environment. Its purpose is to offer you, in a safe and sustainable way, a tiny passage into the kindness of nature, and in this way, take care of it for the future generations. 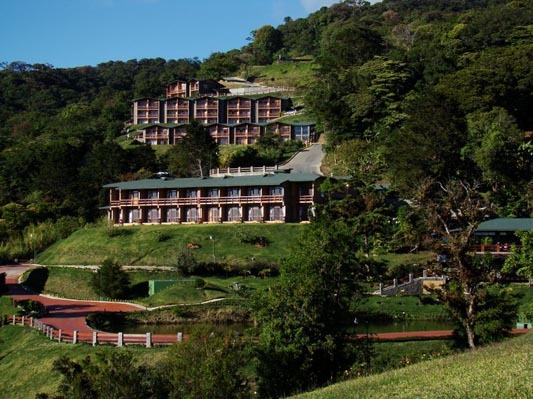 This morning you'll be met at your hotel and transferred to your shared boat lake crossing to the Monteverde Cloud Forest area and your overnight accommodations. Approximate transfer time is 2.5 hours. Enjoy the remainder of the day at your leisure. 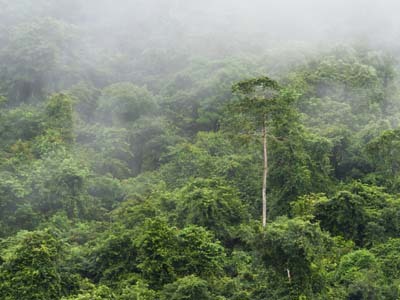 This biological reserve has been a source of inspiration since it was first colonized, and has continued to be advocated for by different conservation groups through the 19th and 20th centuries. Only 160 tourists are allowed within its borders at a time, insuring that the healthy rivers, blooming trees, and intense biodiversity remains protected. Though it does rain often (bring your raincoat), and the trails do get a bit muddy (don't forget your boots), this is a chance to witness the wilderness for which Costa Rica is famous, and maybe even learn a thing or two about the importance of conservation of beauty, and the value of nature. Early this morning after breakfast, you’ll be met and transferred to the start of your zipline excursion. After the tour you will be transfer back to you hotel or you can stay downtown. Enjoy the afternoon at leisure to explore the town of Santa Elena, Monteverde, and the different array of attractions they offer. 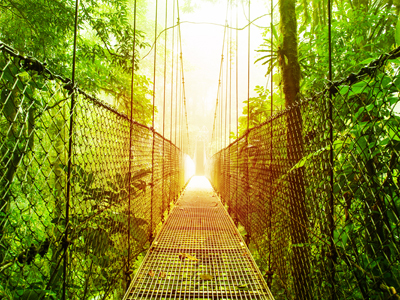 Sky Trek is a system of trails, suspension bridges, and ziplines that offers visitors the opportunity to observe, and appreciate tropical vegetation from different vantage points above the canopy. 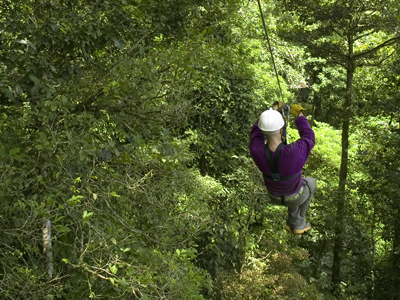 Experience an adrenaline rush as you glide along zipline cables high above the treetops. The tour includes two suspended bridges – 60 and 80 meters—three platforms above the canopy, connected by ziplines, an eight-story high canopy observation tower, 10 cables system up to 427 meters long (1,400 feet) long, with a total stretch of 2 kilometers (1.25 miles) of cables. Tours last between 2.5 and 3 hours. Please note weight restriction of 275 pounds or 125 kg. Guanacaste is an area of conservation that Costa Rican locals take great pride in. In the late 20th century, this was the final piece of a national park puzzle that connected the Pacific and Caribbean coasts, creating a single highway of protected land. In addition, the nearby city of Santa Rosa is a source of rare military pride for the local people, as the venue of victory over the three foreign armies to have invaded the country throughout its history. Guanacaste itself is about the remoteness, the pure nature and the beauty of the landscape. As far as Costa Rica's beaches go, this is probably the cleanest and least crowded you're likely to find! 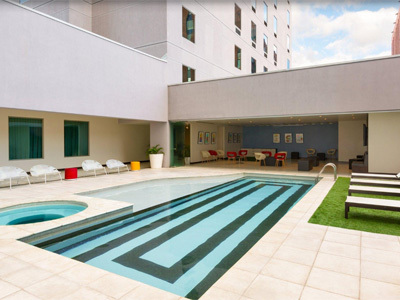 Positioned only three blocks from Paseo Colón, San José's main avenue, and walking distance from downtown, the Park Inn by Radisson San José, is the perfect spot for a relaxing and comfortable vacation. It's modern and quirky decorations, keep the property unique and colorful. Guests can unwind with dinner and drinks at the hotel's RBG Bar & Grill, or take a dip in the outdoor pool. With 125 spacious rooms, that include complimentary wireless Internet and 32-inch flat screen televisions, the hotel provides guests with all the features you need for a pleasurable and memorable stay. 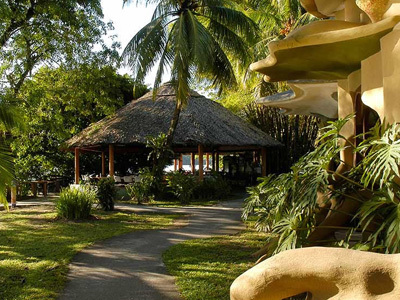 Laguna Lodge is a spectacular rainforest ecolodge nestled in the northern Caribbean of Costa Rica. The lodge is a leader among this tropical country’s hotels and resorts, offering an extra touch in style, comfort and personalized service. Built on a narrow strip of land that is only 650 feet wide, the property lies between Tortuguero's main lagoon and the Caribbean Sea. 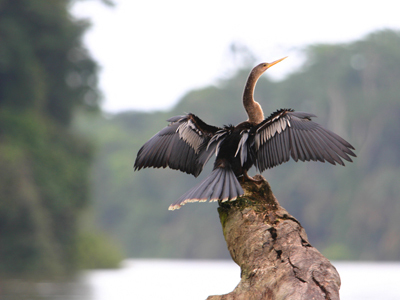 The area has incredible rivers, lakes and wetlands that shelter a lush jungle of primary forests and exotic plants, the perfect setting for exploration and discovery! 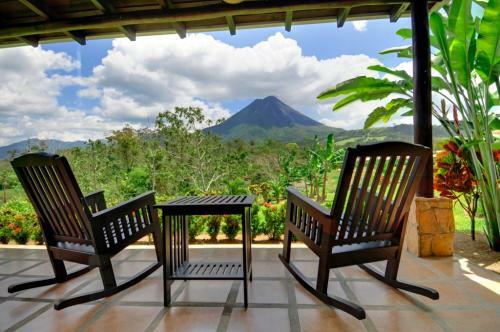 Hotel Arenal Manoa is a beautiful luxury property, which offers marvelous sweeping views across Arenal Volcano. Surrounded by gardens, lush pasture and exotic wildlife, the guest rooms have each been specifically designed to include panoramic views of the volcano and surrounding landscape. You are invited to take advantage of the spacious gardens on property for walking trails and tranquil meditation as well as the opportunity to observe the daily operations of a typical Costa Rican farm. Take a dip in the spacious refreshing pool, or get cozy in the hot tub, surrounded by colorful flowers and rich greenery. Nestled in the misty cloud forest of Monteverde, El Establo offers the area’s best views, heated indoor pools, spa, restaurants, café-bars, a special events center, and much more. Use El Establo as a base for hiking, canopy tours, and more. Tamarindo Diria Beach and Golf Resort fronts a white-sand beach in a dry tropical forest of Costa Rica's Guanacaste province. In addition to a golf driving range, the hotel offers 2 restaurants and 2 swimming pools; one with a swim-up bar, and one near the beach. Watersports are available for guests and a business center is open 24 hours a day, for your convenience. The comfortable guestrooms feature balconies or patios with views of the ocean, pool, or gardens. 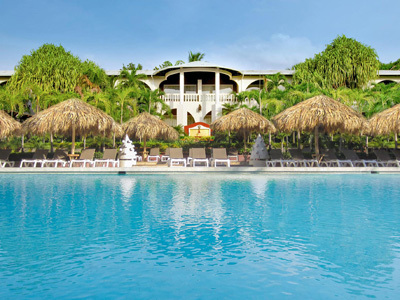 Amenities include cable TVs, complimentary wireless Internet access, minibars, air conditioning and ceiling fans. This is just one of many authentic travel experiences offered by Global Basecamps. If you are interested in more unique destinations to Costa Rica with unprecedented planning and extraordinary service visit our main Costa Rica tours page to browse other sample trips.